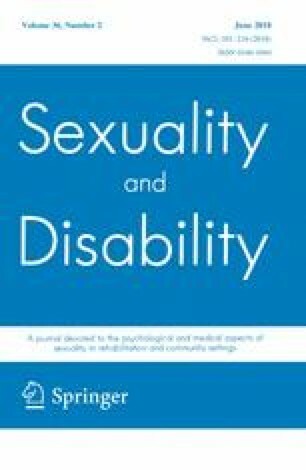 The aims of this review were to systematically identify, critically appraise and synthesize the results of existing qualitative literature exploring the views and experiences of intimate relationships amongst people with intellectual disabilities. Fourteen peer-reviewed articles were identified through a systematic search of eight databases, reference lists, citations, and relevant journals. The identified articles were appraised for quality, then synthesized using a metaethnography approach. No study met all quality criteria and references to ethical approval were often lacking. Interpretation of the findings suggested three key themes: the meaning of intimate relationships, external constraints and facilitators, and managing external constraints. Though many people with intellectual disabilities desire and benefit from intimate relationships, they experience restrictions that others do not, which can lead to isolation and loneliness. Intimate relationships are not always necessarily linked with sexual behavior; therefore, intimate relationships warrant their own focus in future research, as well as in education and training for people with intellectual disabilities and their caregivers. Within this, a commitment to transparency over research processes is needed, in particular with reference to how ethical approval was obtained, since this has been a shortcoming of research with this focus to date. This work was supported by the Trent Doctoral Training Programme in Clinical Psychology, Division of Psychiatry and Applied Psychology, University of Nottingham, YANG Fujia Building, B Floor, Jubilee Campus, Wollaton Road, Nottingham NG8 1BB. The author would like to thank Dr Jennifer Clegg (Institute of Mental Health, University of Nottingham) for her advice.